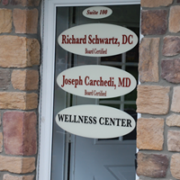 The Advanced Chiropractic and Wellness Center offers you advanced chiropractic techniques which can afford you pain relief or even pain prevention. Chiropractic adjustment is a series of techniques in which a highly trained and skilled Doctor of Chiropractic medicine uses their hands to apply pressure or force to an area of the spine. This manipulation of the spine can be used to correct the body alignment and to improve your overall sense of well being.